If you’re in need of an adult grilled cheese, we have the perfect solution. This open-faced grilled cheese with prosciutto and fig jam is just what the kid in you is craving, with a little bit of sophistication. 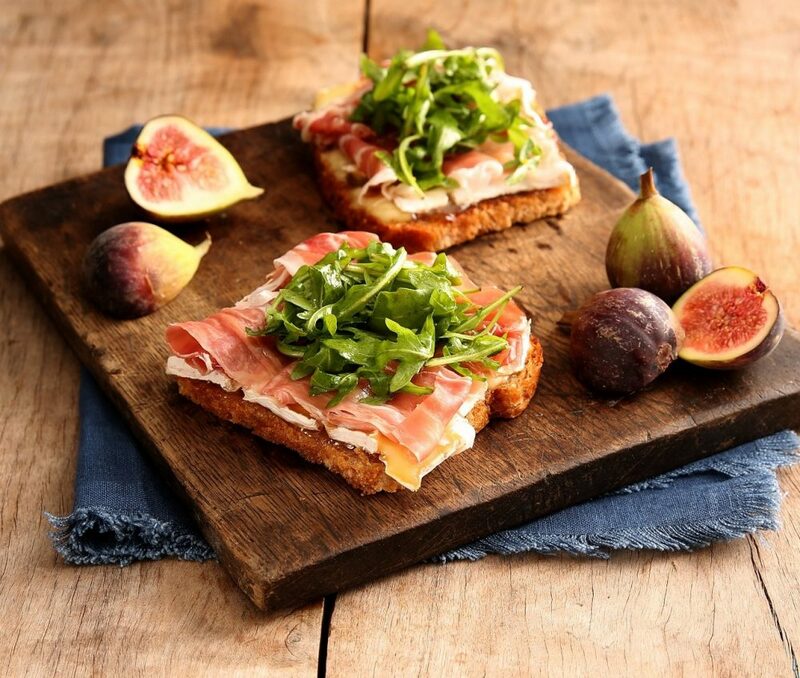 Melted brie, crusty bread, prosciutto and fig jam make for the best pairings a sandwich could ask for. The combination of sweetness from the fig jam (the hottest new pairing for prosciutto! ), savory flavor from the Prosciutto di Parma and cheesy delightfulness from the brie makes this sandwich your best option for an office lunch or easy weeknight dinner. Take a look at the below video from Lucie Fink for a quick how-to on creating a flawless prosciutto and fig grilled cheese. Brush both sides of bread slices with melted butter. Heat large skillet over medium-high heat and brown one side of each slice of bread. Turn and top with fig jam and cheese. Reduce heat to low and cook, covered, until cheese is melted and sandwich is heated through. Meanwhile, combine olive oil, vinegar and orange zest until blended. Toss with arugula. Top sandwiches with prosciutto (3 slices per sandwich) and then arugula mixture.